Lucinda Shen at Fortune wrote: "With an uptick in cyberattacks across the world, from WannaCry to Petya ransomware, a new report from banking heavyweight Lloyds of London warns just how vulnerable the U.S. economy could be in the event of an extreme attack. The report, published in tandem with cybersecurity analysis firm Cyence, speculates that the U.S. could potentially lose as much as $121.4 billion, which is more than the $108 billion in damages from Hurricane Katrina. Some critics attribute those high costs to the U.S. government's slow response to the natural disaster. If a single cyberattack were to reach Lloyds' extreme scenario of $121.4 billion, that would not only surpass the damages caused by Hurricane Katrina, but it would also exceed the cost of the 2010 Deepwater Horizon spill in the Gulf of Mexico of $61.6 billion, according to BP's 2016 estimates. "Cyber risk is a growing global threat," the report stated. "While digitization is revolutionizing business models and transforming daily lives, it is also making the global economy more vulnerable to cyberattacks." According to Lloyds and Cyence, average economic losses from a major attack on cloud services could be about $53 billion. But those losses could also go as high as $121.4 billion or as low as $15.6 billion depending on the organization and its response. In 2016, cyberattacks cost the world an estimated $450 billion, according to the Hiscox Cyber Readiness Report. Still, Lloyd's comparisons to Katrina and BP should be taken with a grain of salt. 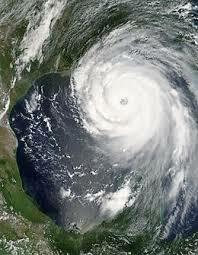 For example, the figures cited for Hurricane Katrina do not factor in the economic fallout following the disaster."